Catholics must understand, accept and love all of Catholic doctrine to be worthy of the name and be prepared for God's judgment. Liberal and progressivist Catholics, however, select only the principles that suit them. They set aside and silence anything that opposes their respective philosophies. On this page TIA offers some deliberately Forgotten Truths as a contribution for the good Catholics to understand and love the ensemble of Catholic doctrine and as a stimulus to stay on the right path. It is also an invitation to those with liberal and progressivist tendencies to return to it. 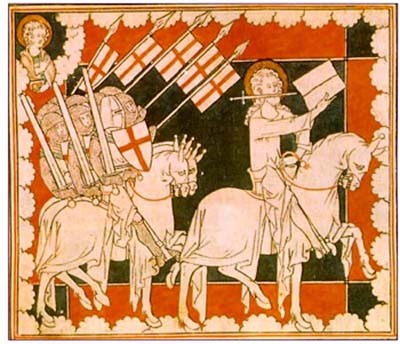 "And I saw Heaven opened, and behold a white horse; and He that sat upon it was called Faithful and True ... And the armies that are in Heaven followed Him on white horses ... And out of His mouth proceedeth a sharp two-edged sword; that with it He may strike the nations" (Apoc. 19:11-15). Why Must Dress Protect Chastity? Beware, O Sinner, for Who Promises You a Tomorrow? Boniface VIII against Ecumenism and the conciliar "Church of Christ"
When Is It Licit To Curse Someone?